We offer two main categories for dealing with sound issues Sound Blocking and Sound Absorbing. Both properties can be used together, but we recommend you start with the category that most fits your needs. These are used to block sound and soundproof rooms. They are used to prevent noise from getting in or noise from getting out. 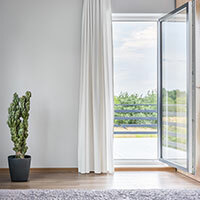 This curtain solves noise problems related to high traffic areas, loud neighbors, preventing highway noise, outdoor noise such as dogs, city noise, children playing, airplane noise, ambient noise, or loud music. These are used to absorb sound in rooms. They are used to control echo, reflection, and dampen sound. 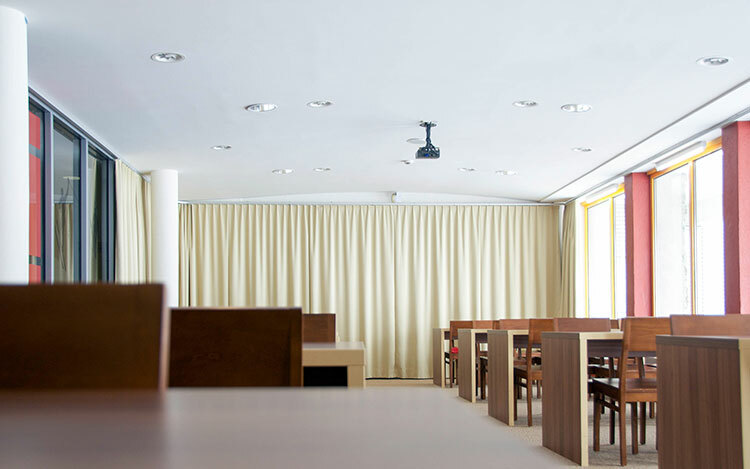 This curtain solves noise problems related to reflective walls and flooring, high echo, improve acoustics, wood flooring, high ceilings and more. We use both the sound blocking and sound absorbing properties for our commercial customers. 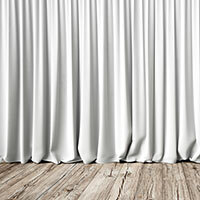 We tailor your curtains to your need.